Free user interface design kits are valuable asset for any professional designer. The user interface design also know as UI Kits. So UI Kits or UI design elements play a very important role in interface designing. UI design involves a lot of creativity, inspiration and motivation along with the people-skills necessary to communicate effectively with clients. Media Black UI Kit and contains graphic elements suitable for any sort of media elements, such as video and audio players, along typical navigational items.It’s provided as a layered PSD file. Free UI kit PSD. It’s called Soft UI and it’s made by Kim Petersen. It contains many detailed UI elements such as buttons, menus, social buttons, sliders, a pagination style and an accordion, plus many more. The subtle gray shade allows a versatile usage in interface designs. Clean User Interface kit with some basic design elements such as search boxes, buttons, dropdown. This extensive user interface kit contains a slew of varied graphic elements – buttons, toggles, search fields, sliders, labels, and much more. Everything ties in with a simple theme, and it’s a sleek start for your own app UI! This is a full user interface kit, including a huge number of different elements — video/audio players, buttons, navigation, sliders, and other website elements. These could be very easily arranged into a website layout, and fully developed. The Mint UI Kit contains a few elements — toggles, sliders, and buttons, that together make up the start of a funky interface! Something a little bit different, with plenty of fresh, minty character. Android’s system UI provides the framework on top of which you build your app. Important aspects include the Home screen experience, global device navigation, and notifications. Your app will play an important part in keeping the overall Android experience consistent and enjoyable to use. At the end of this chapter we introduce the main elements for achieving this goal in your app. It’s a Clean User Interface Kit that includes Buttons, Radio Buttons, Check boxes, Drop downs and more! I basically extended my “Media UI” into an entire kit. Everything is 100% vector and can be re-scaled to any size. It also includes a Photoshop PSD. This is a Dark Themed UI Element PSD Pack. This included Buttons, Glossy Buttons, Progress/Loading Bar, Video Player, Navigation Bar & Tool-tips. These come in a variety of styles Purple, Grey, Black. This selection of dark user interface elements is a great starting point for a web or application design. The set includes a navigation bar, buttons, form input elements, and radio/check buttons. It’s a great change to the usual “Apple-esque” interface designs! This includes everything you see here: buttons, on/off switches, tags, a slider, checkboxes, radio buttons, a tootip and more. Everything is entirely vector so it will be easy to scale to any size. This even includes a custom pattern of one of my backgrounds that everyone seems to like so much. A collection of different semi-transparent user interface elements — rounded buttons, rectangular buttons, various alert styles, and a menu bar. It’s really easy to change the colour of these by altering the background colour. Here is a Pixel UI Kit complete with radio buttons, checkboxes, a search box, a page view toolbox and more. It also includes a Photoshop PSD like always, and is completely vector, so you can re-scale this to any size if needed. Here is Part 1 of 2 of a Dark User Interface kit, stay tuned for the release of Part 2 tomorrow. Everthing is 100% vector, so you can re-scale this to any size. Here is my very first fully coded CSS3 UI Kit. This includes everything from a search box, checkboxes, radio buttons, and more! Everything is code! This Blue UI (user interface) kit includes everything from checkboxes, radio buttons, and toolbars, to search boxes and tooltips. Everything is entirely vector and can be scaled to any size. To get a retina version of this just double the size and scale the styles (when re-sizing). 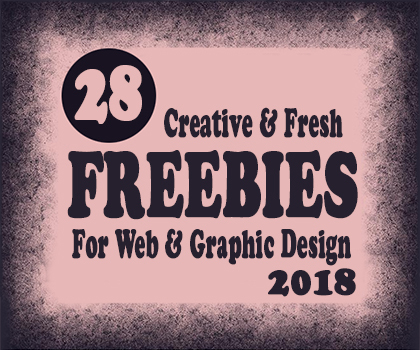 The download package also included a Photoshop PSD File. Black User Interface kit for web and graphic designers. This ui kit includes everything from radio buttons and checkboxes to on/off GUI switches and search boxes. Everything is entirely vector and can be scaled to any size. It also includes a Photoshop PSD. This PSD contains a number of useful elements in a modern, sleek style. I’m designers, I know the importance of user interfaces design kits.. its really helpful to make web project easire and fast. I love these all uikits. Please add some hi-qty premium UI Kits. Awesome work! You have inspired me with you creative designs. thanks for your creative efforts. PSD UI Kits for Web Designers « Graphic design blog, inspiring resoures for designers and developers. 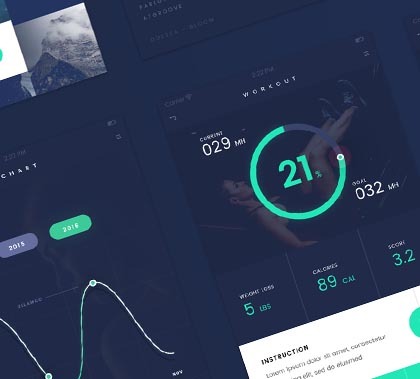 PSD UI KITS for Web and Mobile UI Designers | Graphic design blog, inspiring resoures for designers and developers.